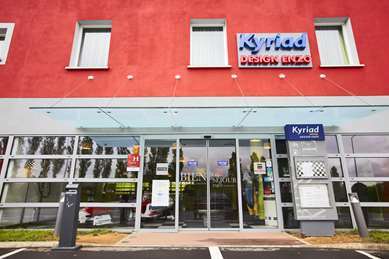 Our Kyriad Metz Center hotel and restaurant is open 24 hours a day. 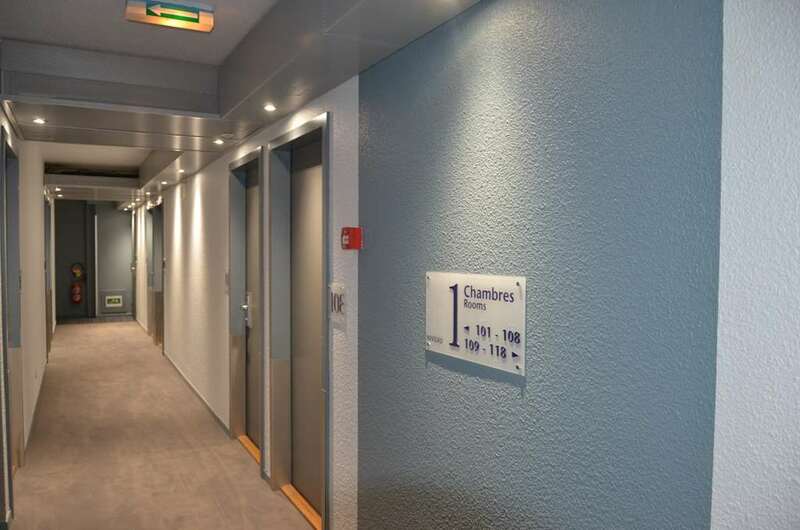 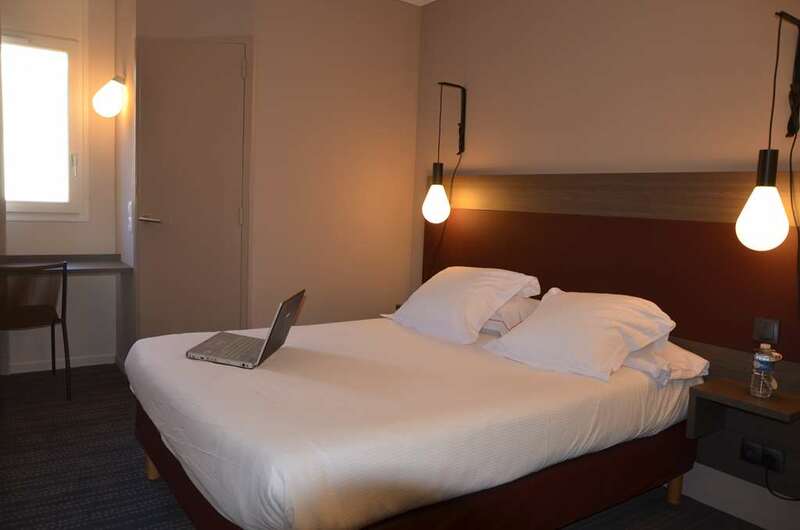 We are located in a quiet, central area: the ideal starting point from which to explore the capital of Lorraine. 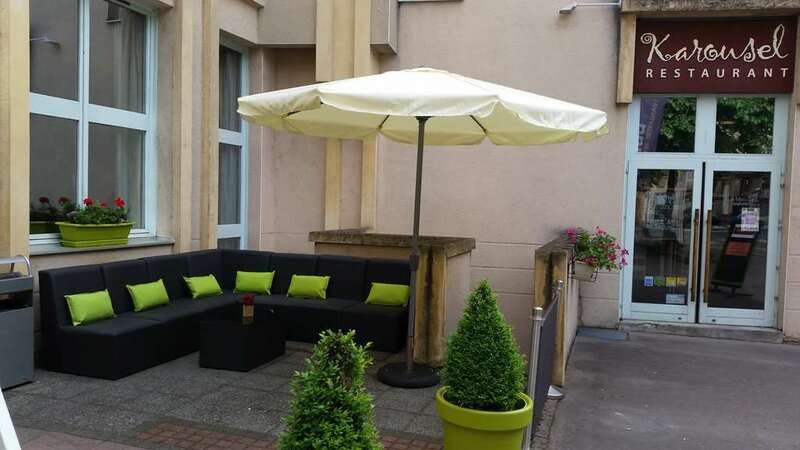 Indeed, when you visit Metz, city of communication and new technologies in plum country, it's like getting into a giant time machine and going back for centuries. Here, everything started some 3,000 years ago. 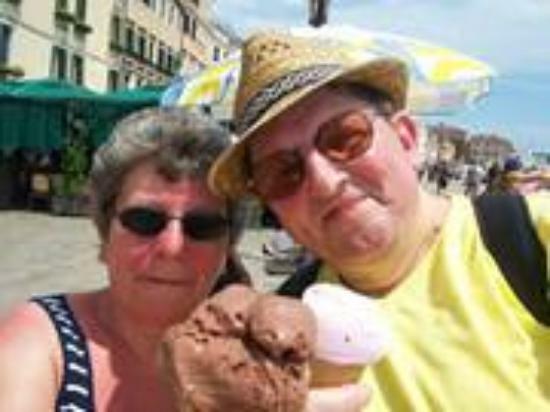 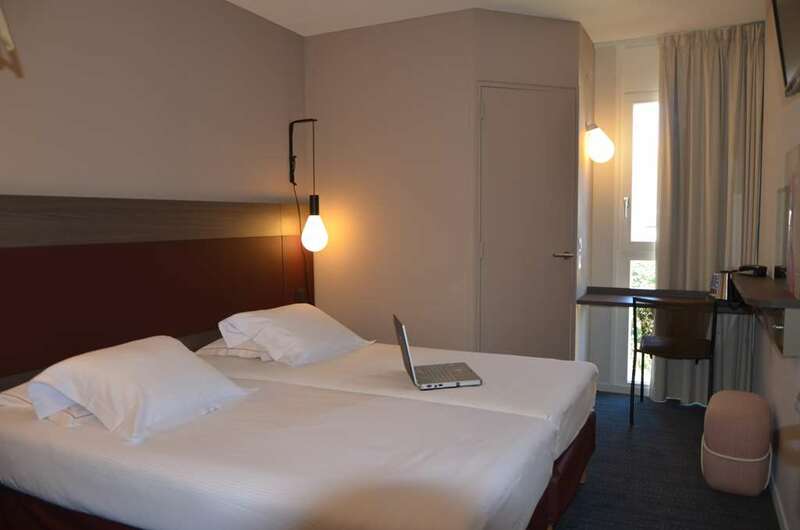 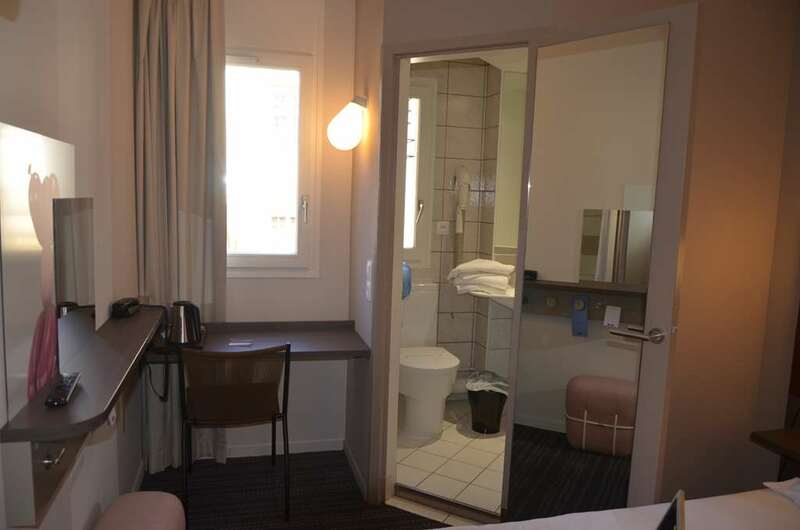 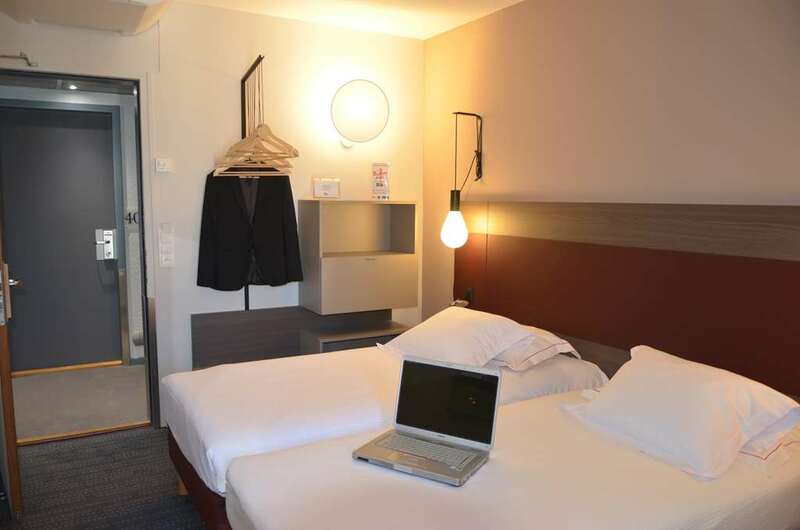 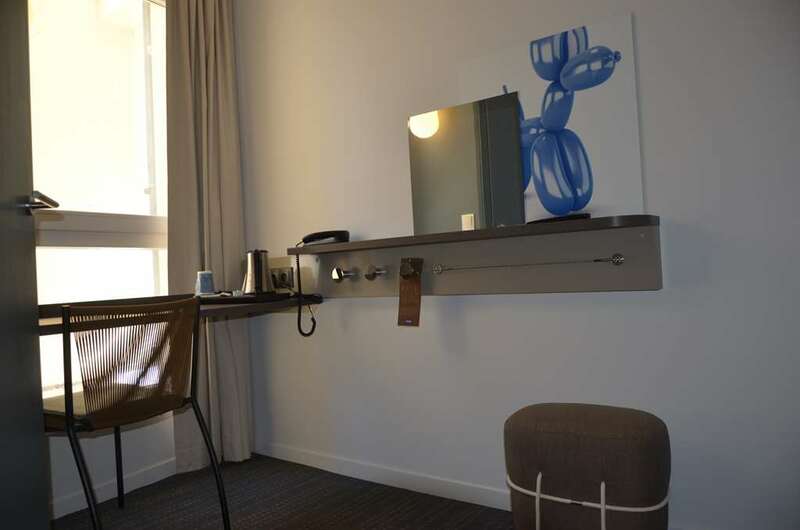 Our hotel in Metz is just a quarter mile from the train station, less than half a mile from Pompidou Metz center and only a short walk from the pedestrian mall. 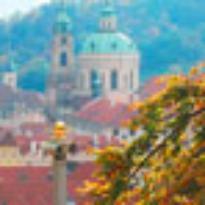 You can admire Chagall's magnificent stained-glass windows at Saint-Etienne Cathedral. 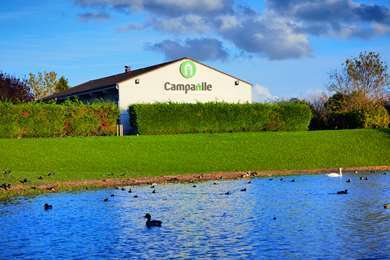 In addition, the Aminéville thermal center is only 20 minutes away by car! 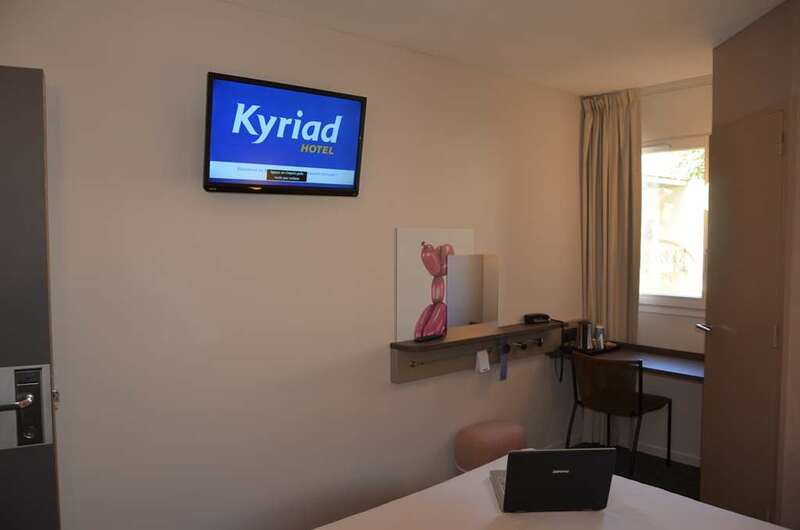 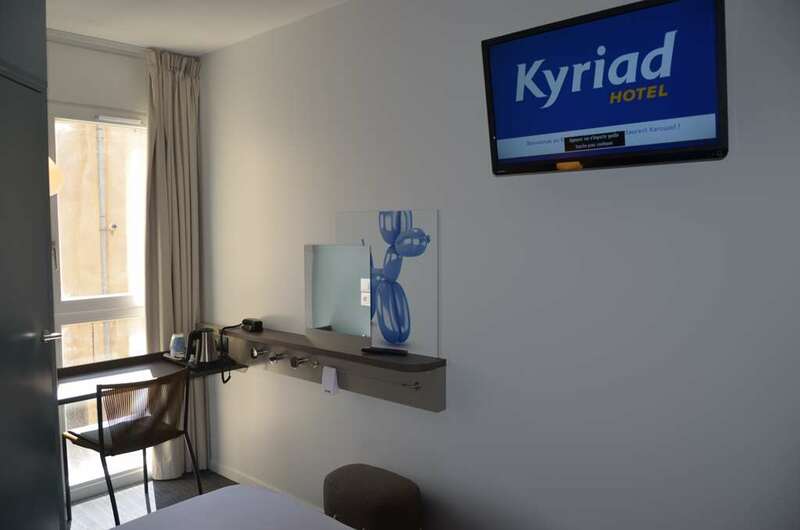 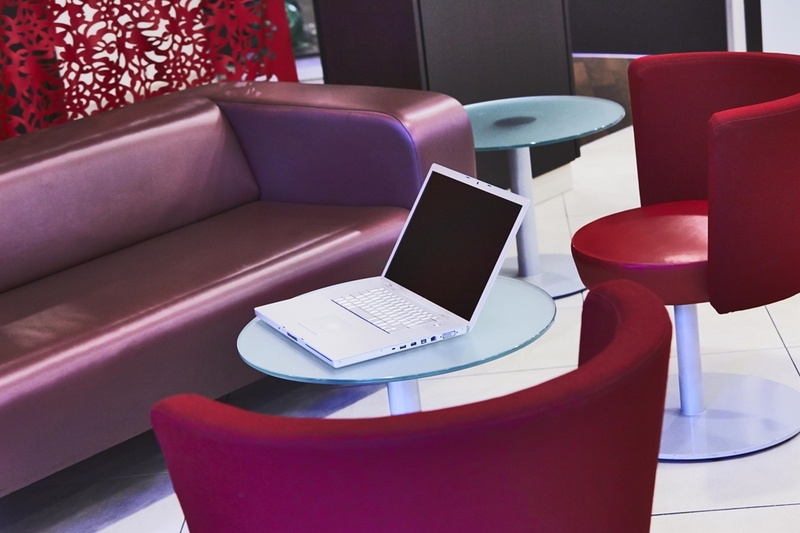 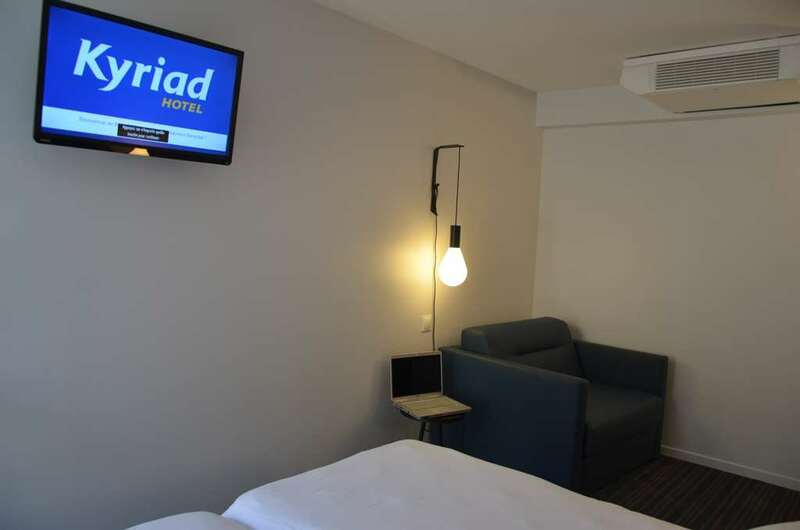 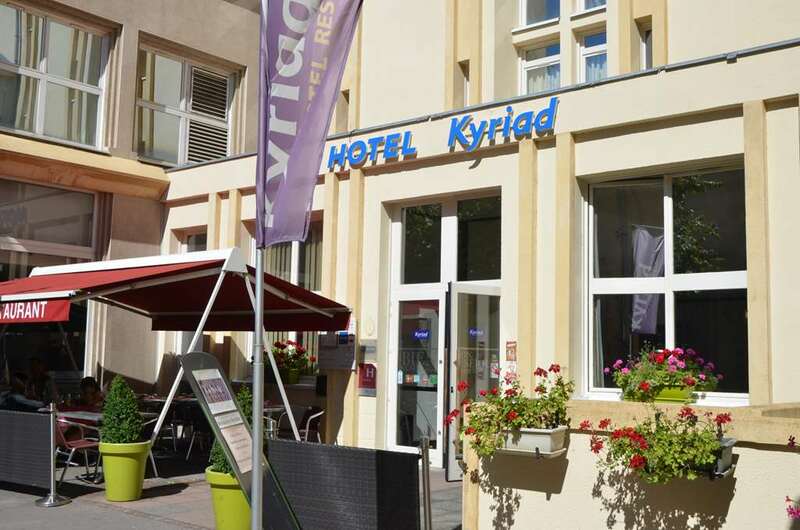 When you reserve at a Kyriad hotel, you are guaranteed a modern room at the best price. 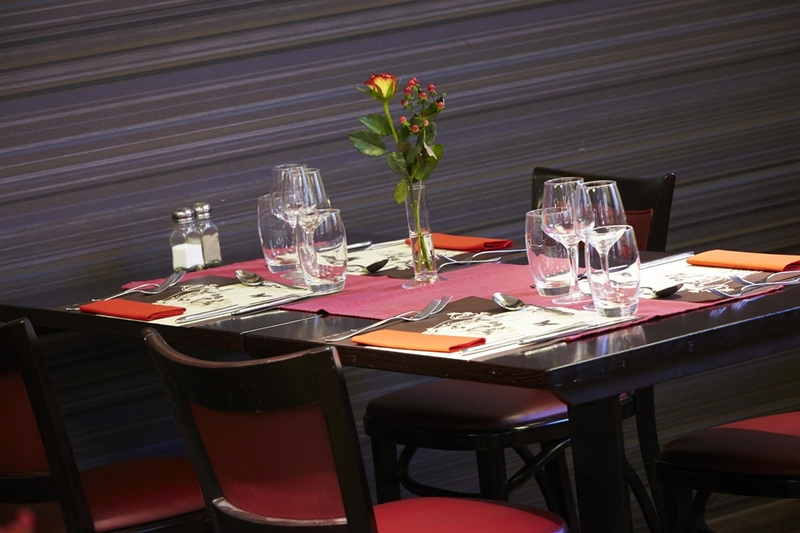 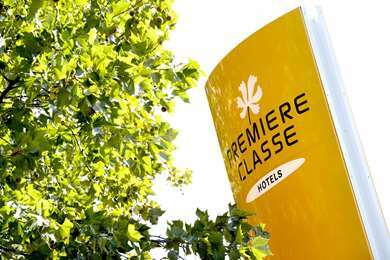 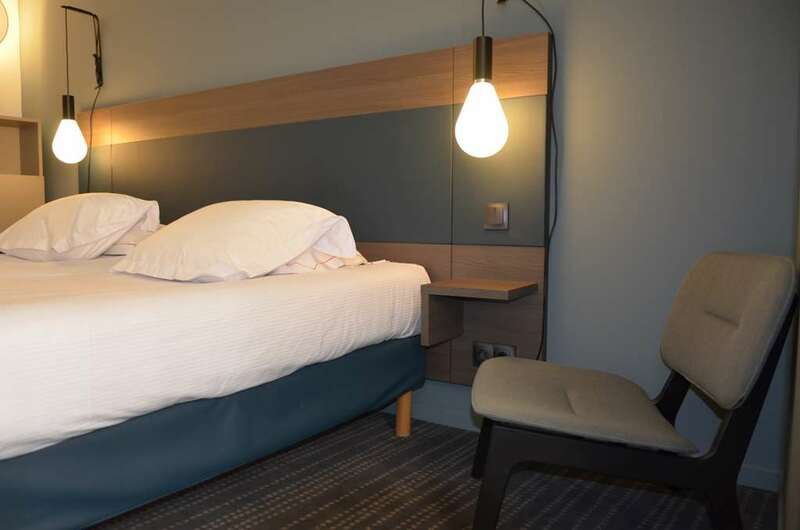 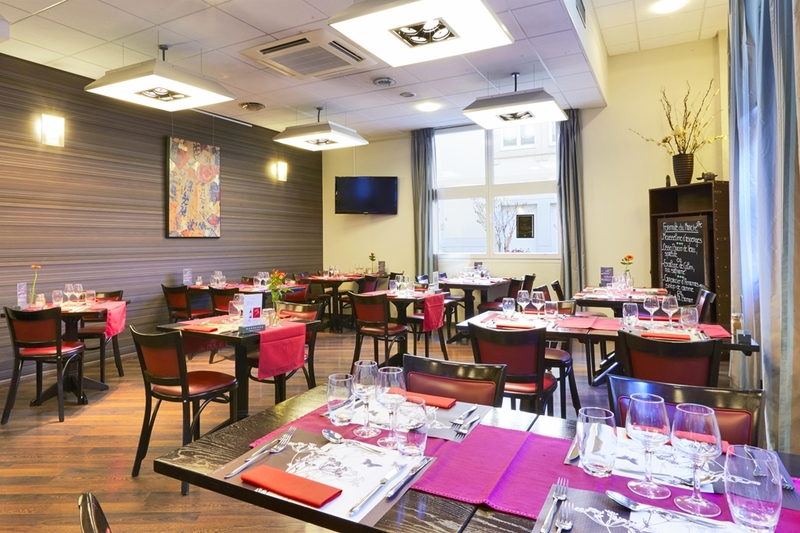 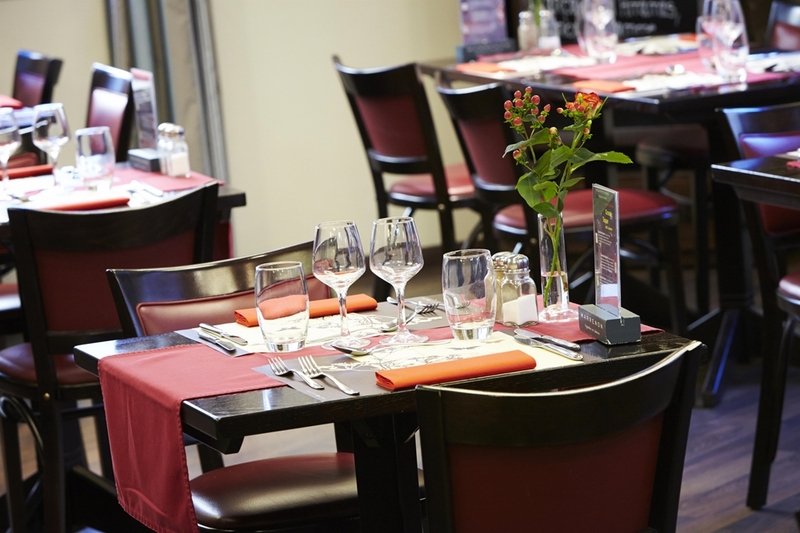 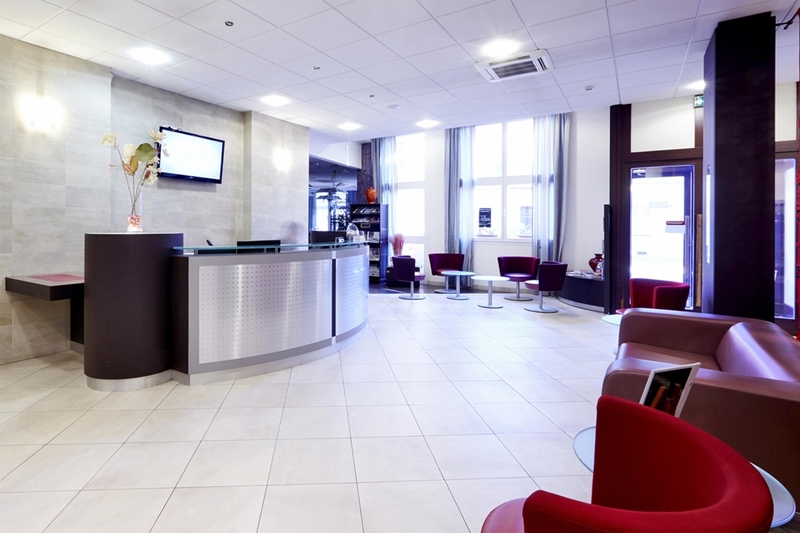 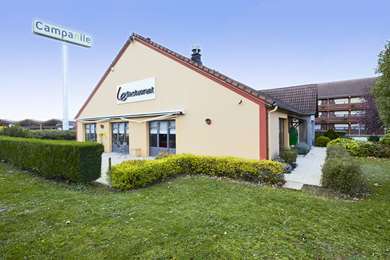 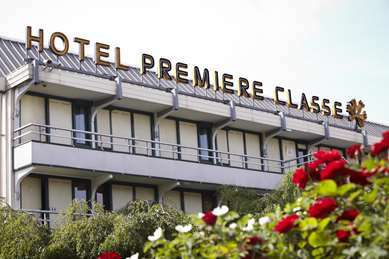 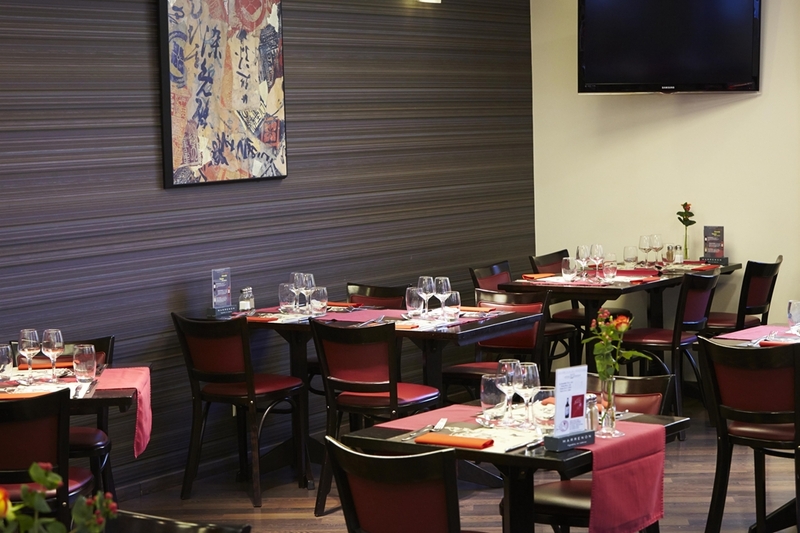 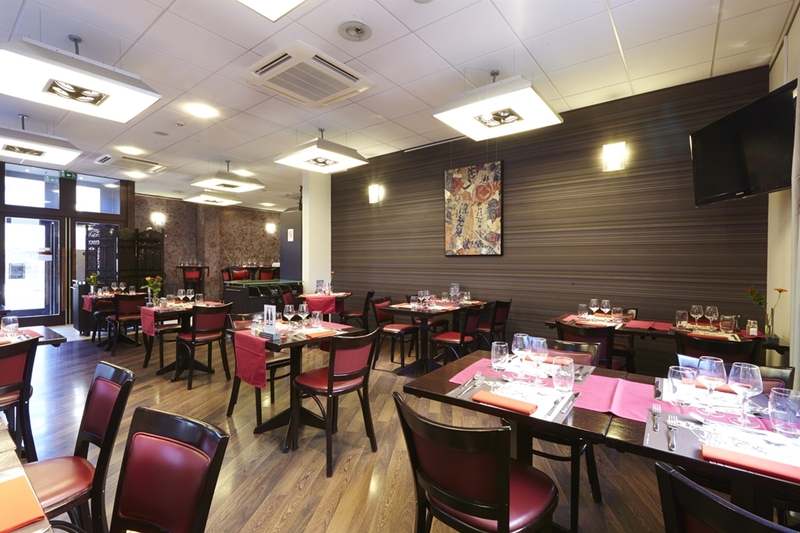 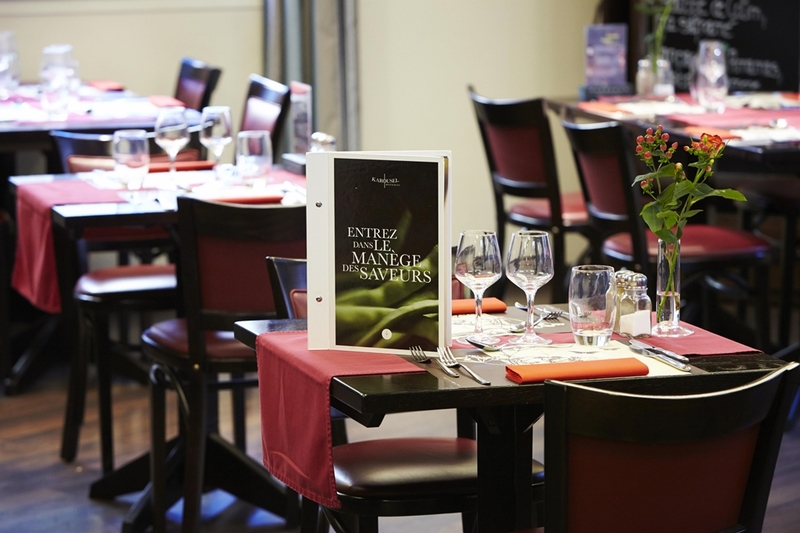 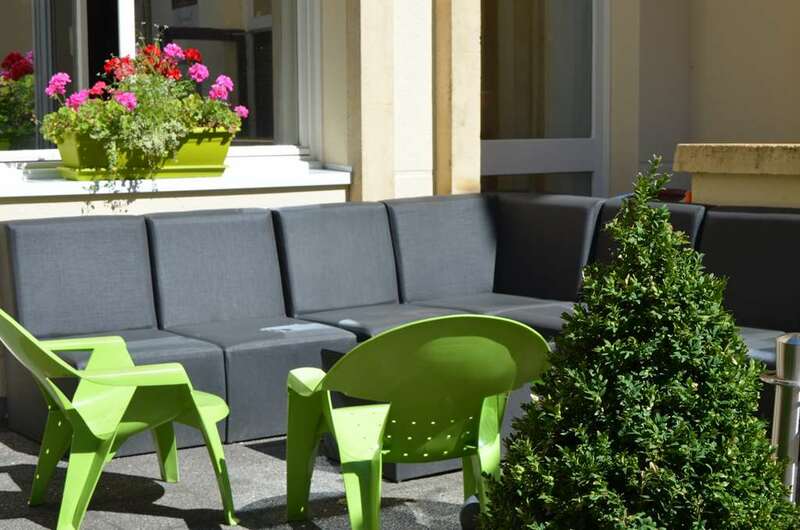 Looking for a good 3-star hotel in Metz? 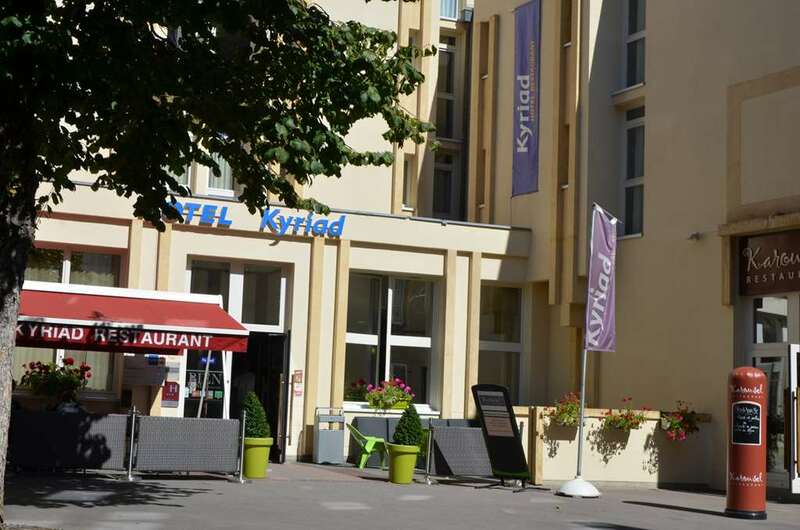 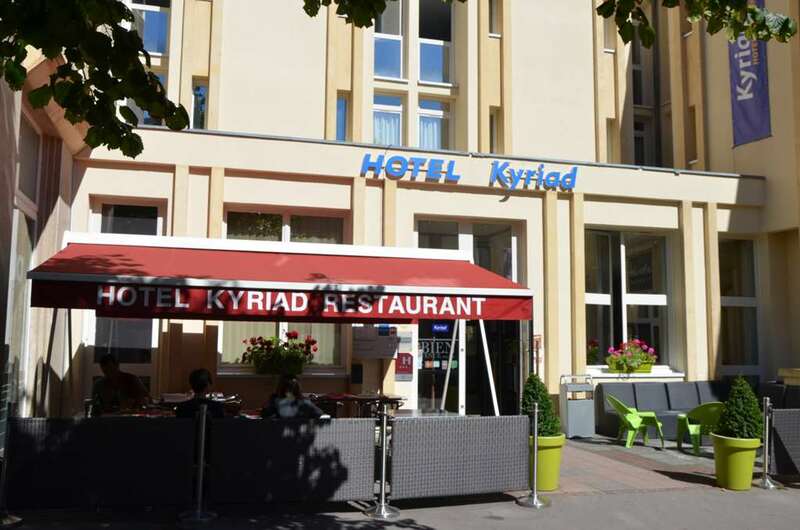 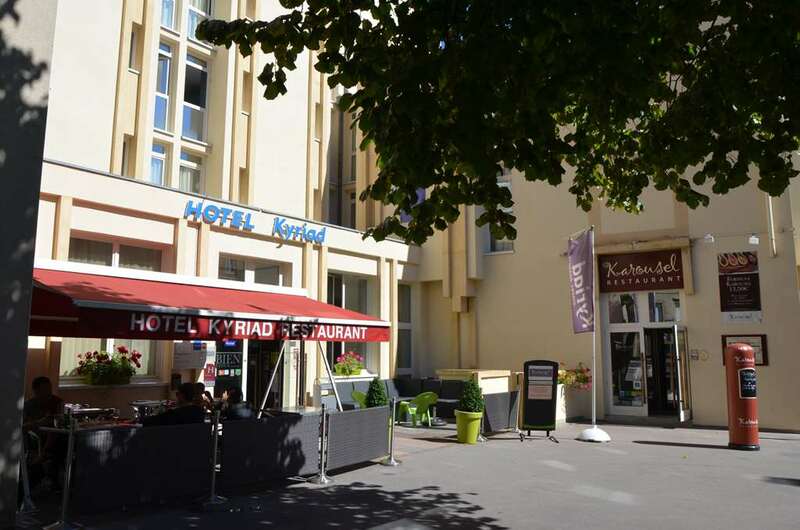 Check out our special offers on the Kyriad.fr website and find the best deal for your stay at the hotel. 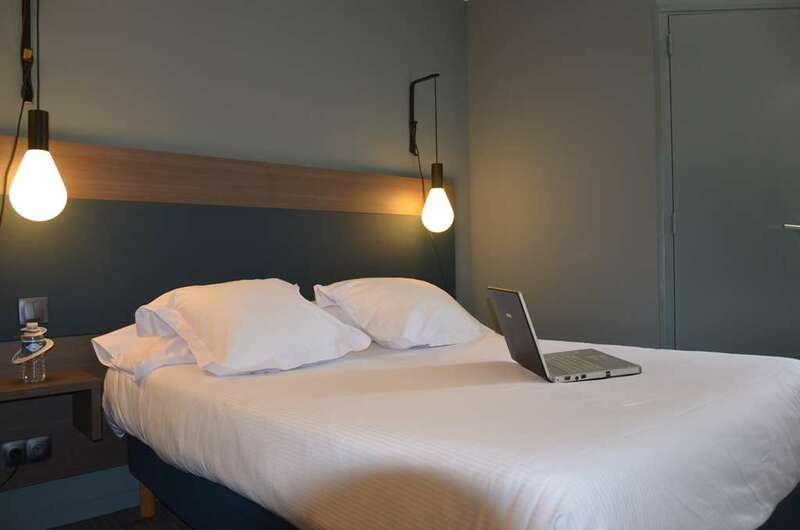 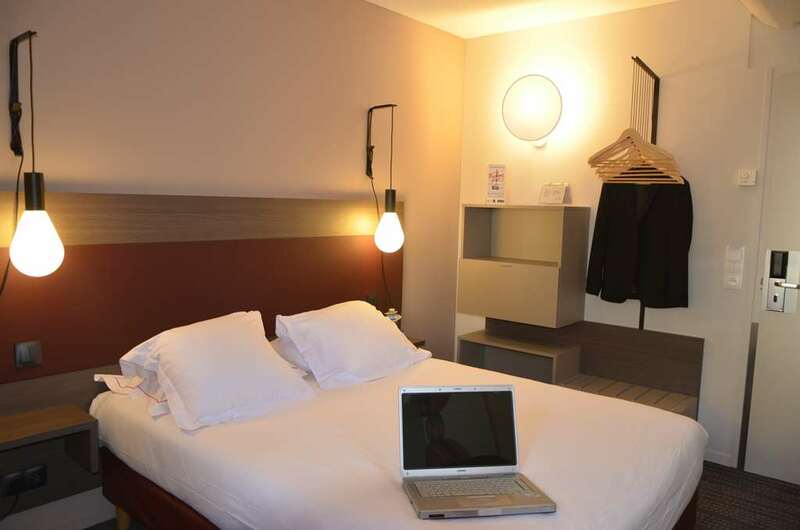 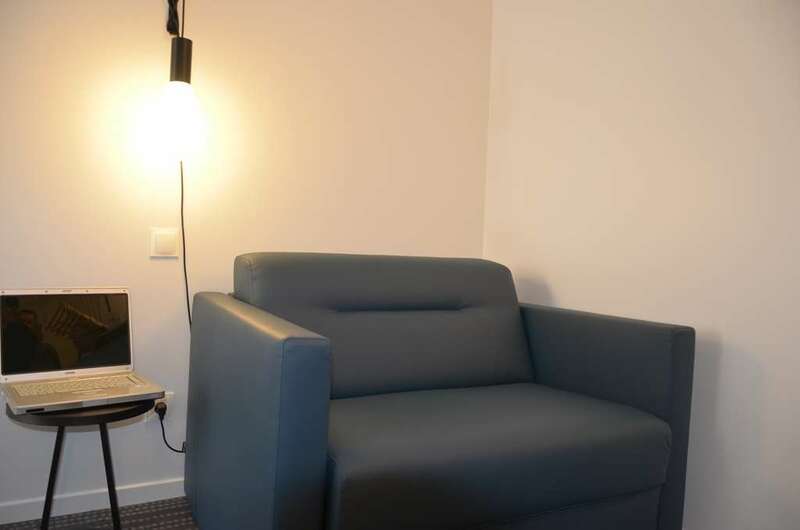 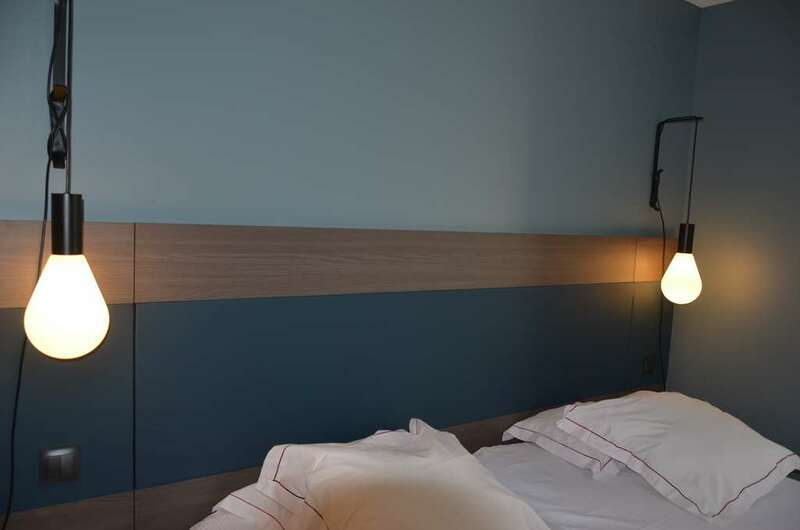 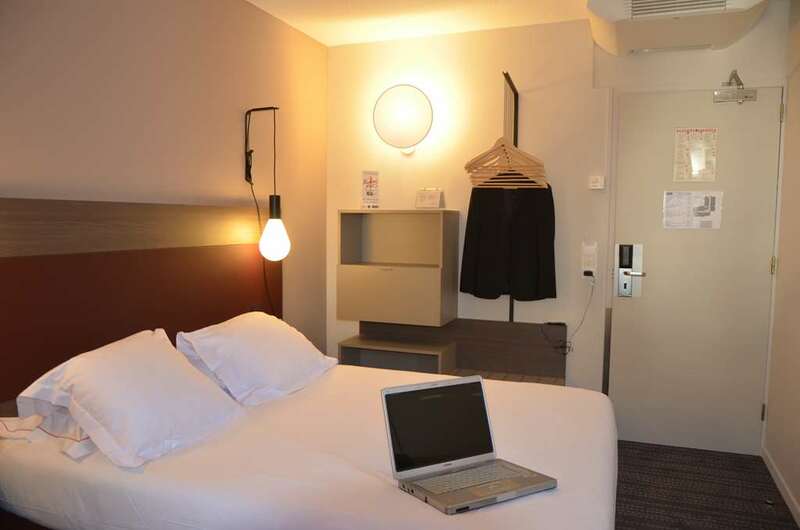 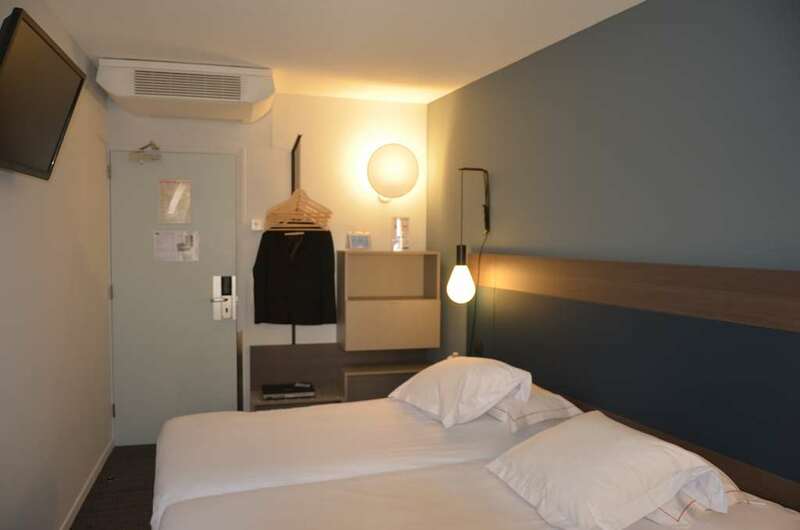 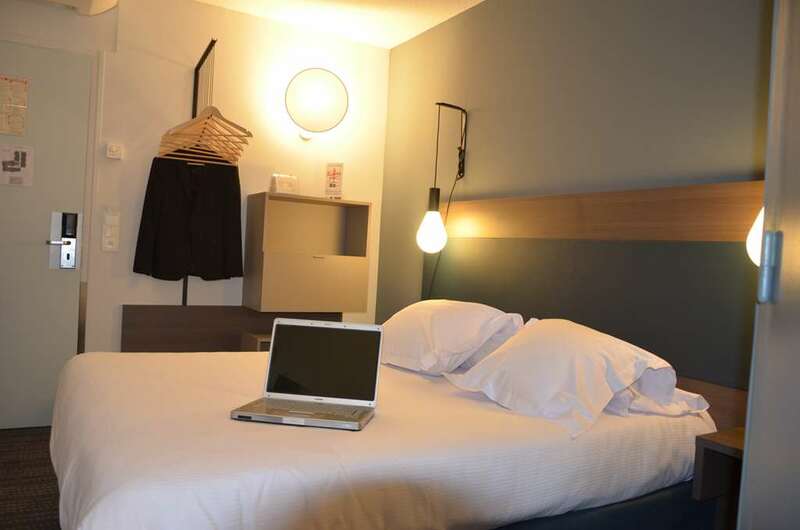 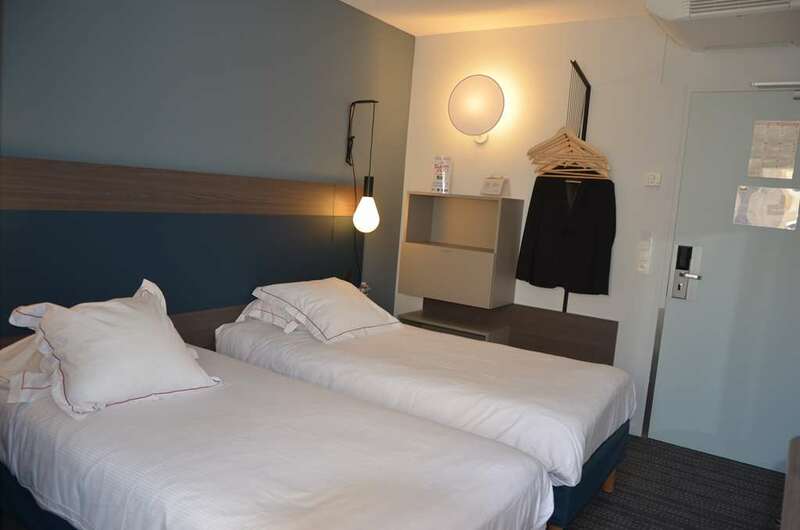 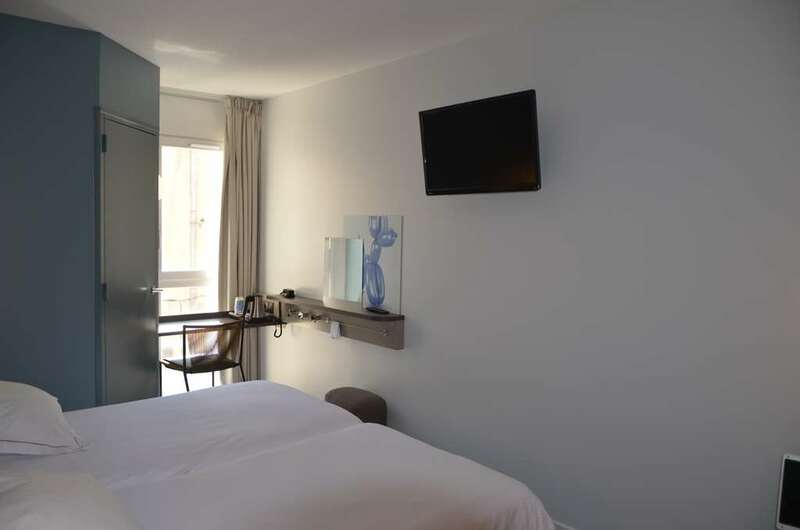 We offer 57 air-conditioned rooms, free Wi-Fi access, a flat-screen TV with a wide choice of channels (Canal+, CanalSat), quality bedding, a desk and a direct dial telephone. 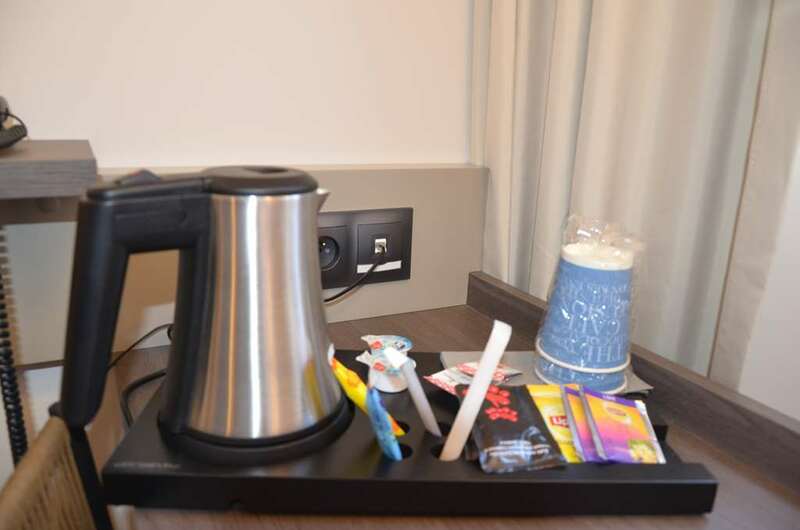 A courtesy tray with cookies and a kettle for tea or coffee. 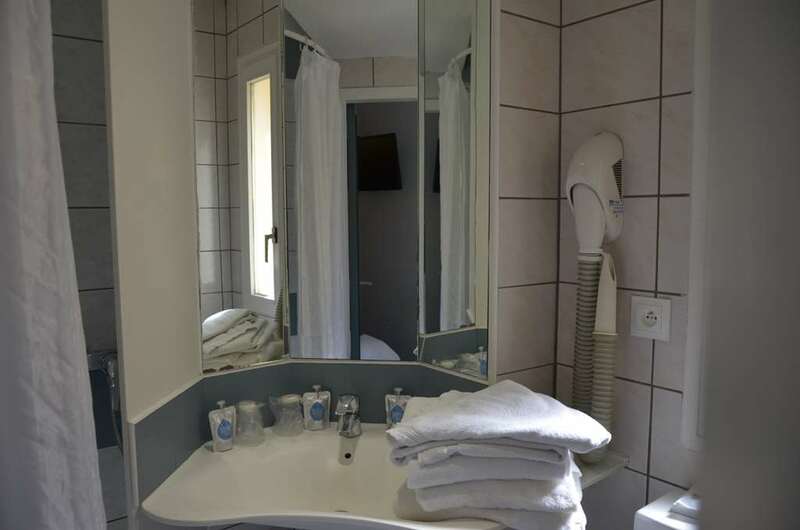 Our rooms are also equipped with a bathroom with shower, toilet and a hairdryer. 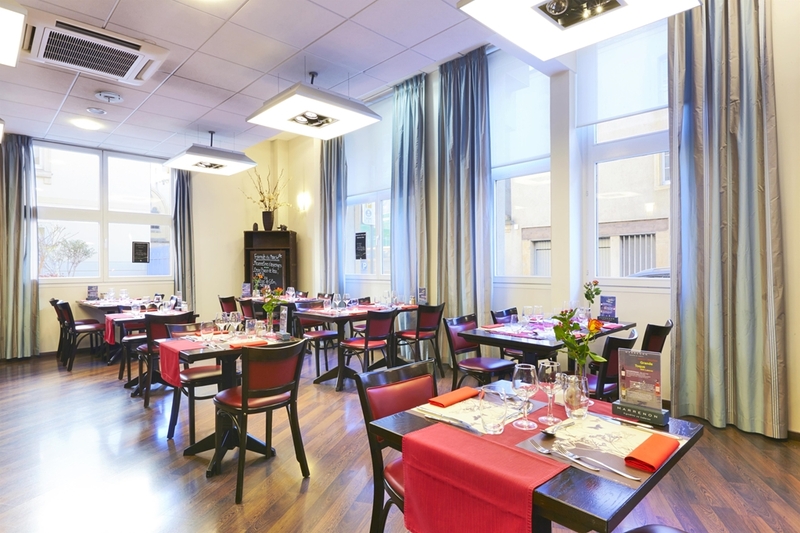 From 06:30 am to 10:00 am, the hotel offers a full buffet for a well-balanced breakfast. 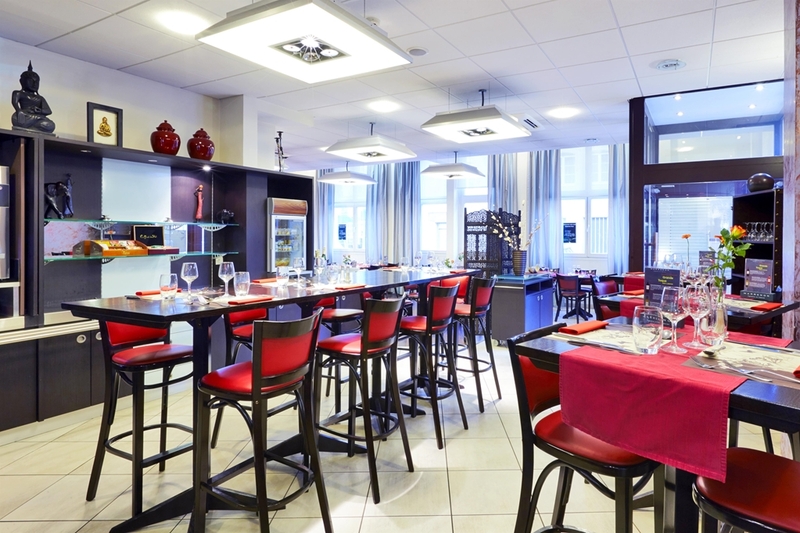 Our restaurant Karousel offers a cuisine that will surprise you with its originality. 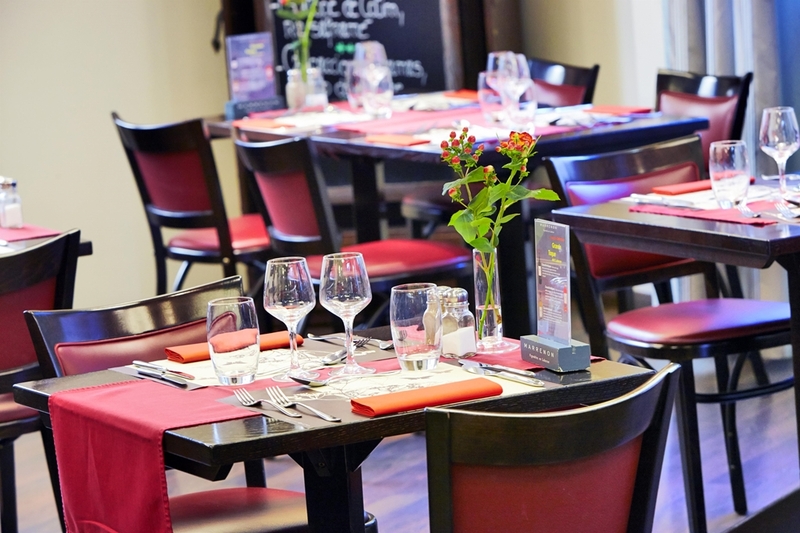 Sometimes spicy, often colorful, enjoy a varied cuisine, made with fresh products in season. 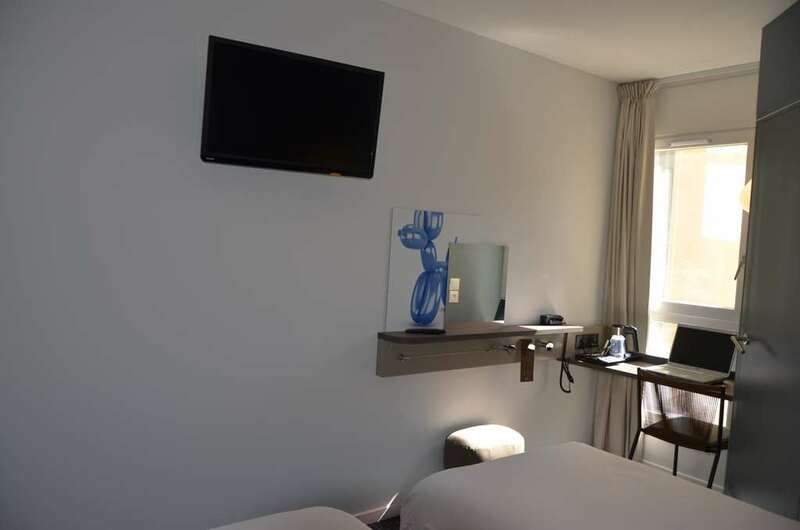 After a day of work or touring the city, relax and enjoy our delicious a la carte dishes, our market formula or our Karousel formula to enjoy in the restaurant or in your room. 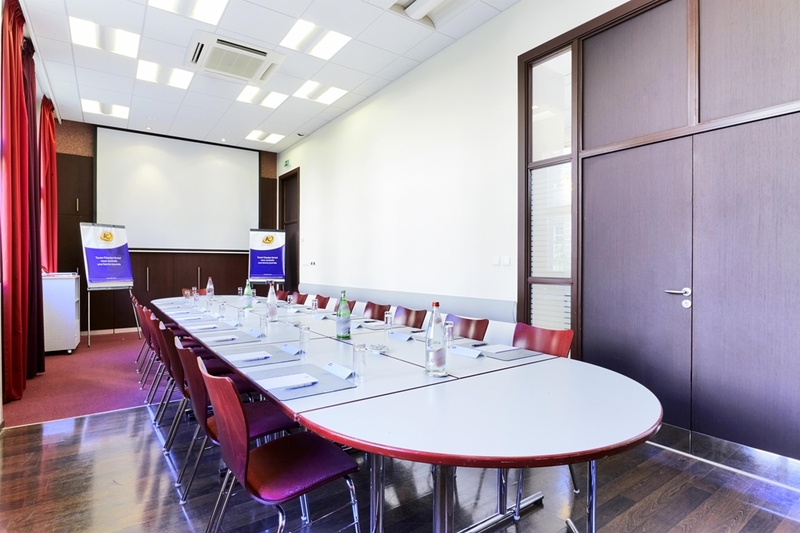 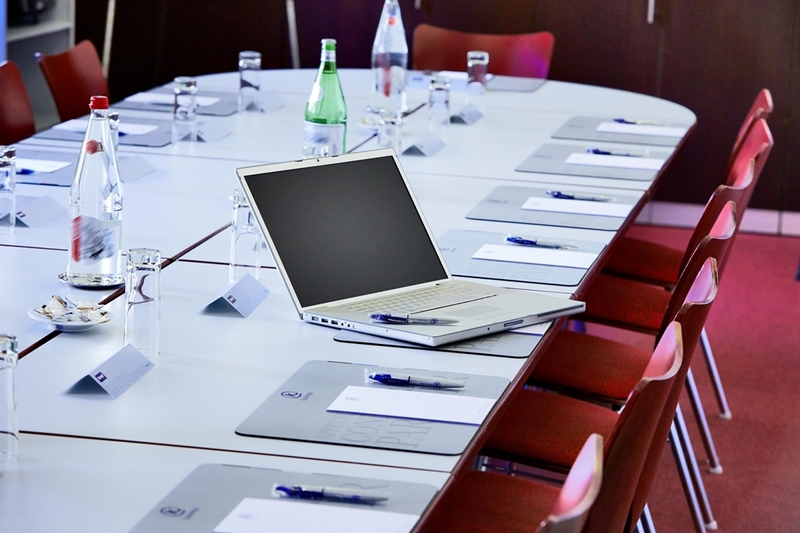 For a business meeting, a seminar or a meal with family or friends, our two lounges provide an ideal and friendly setting with a great view overlooking the former Saint-Nicolas cloister. 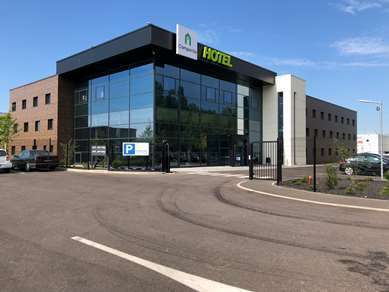 "Good Hotel for stop over"
"Great service! 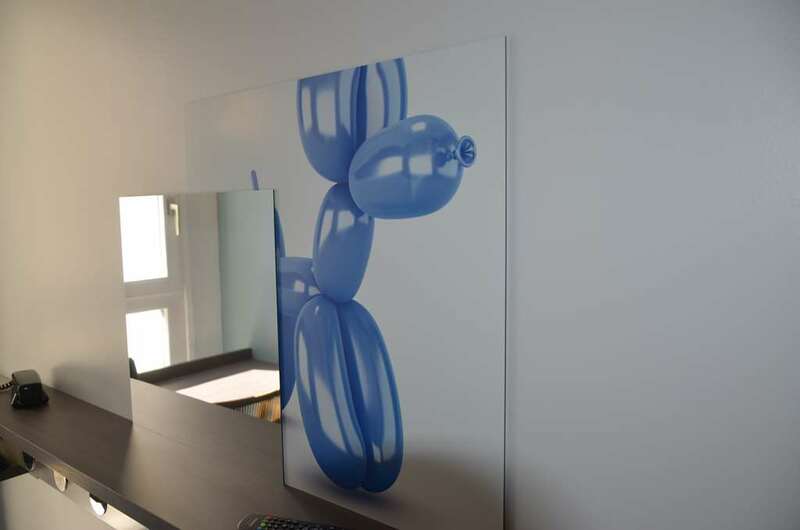 Amazing value for €"